Few countries provoke as much passion and controversy as Israel. What is Modern Israel? convincingly demonstrates that its founding ideology - Zionism - is anything but a simple reaction to antisemitism. Dispelling the notion that every Jew is a Zionist and therefore a natural advocate for the state of Israel, Yakov Rabkin points to the Protestant roots of Zionism, in order to explain the particular support Israel musters in the United States. 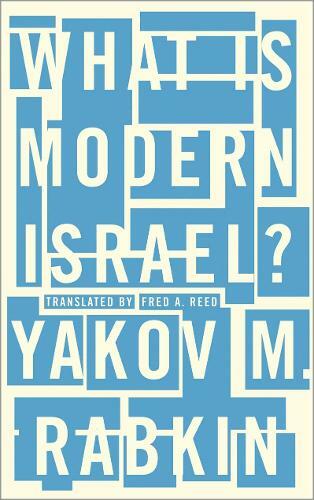 Drawing on many overlooked pages of history, including English, French, Hebrew, Yiddish and Russian sources, Yakov Rabkin shows that Zionism was conceived as a sharp break with Judaism and Jewish continuity. Israel's past and present must be seen in the context of European ethnic nationalism, colonial expansion and geopolitical interests, rather than as an incarnation of Biblical prophecies or a culmination of Jewish history.